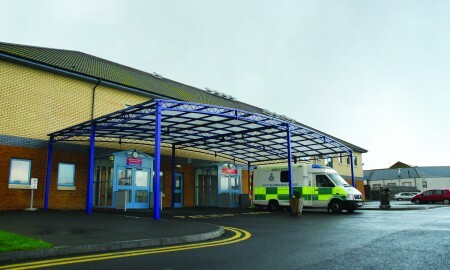 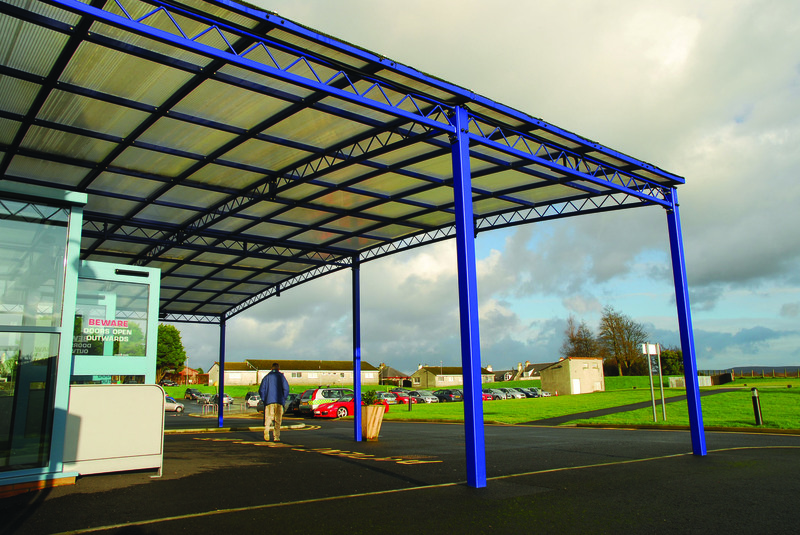 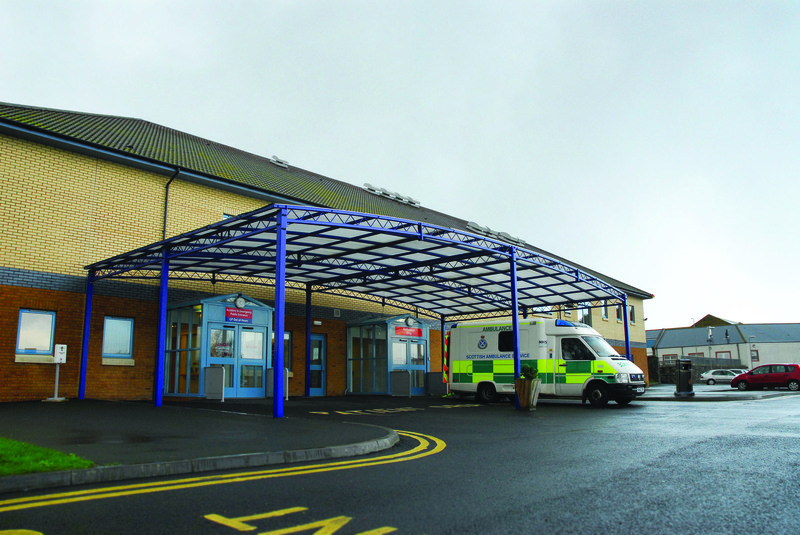 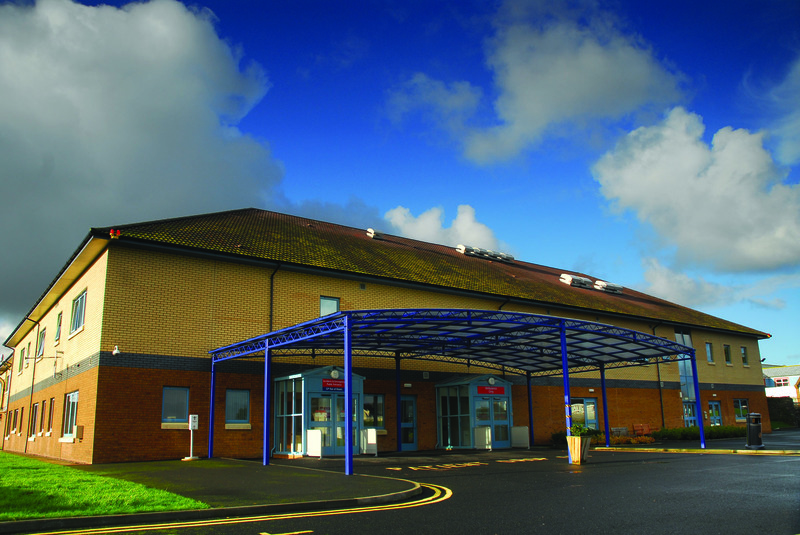 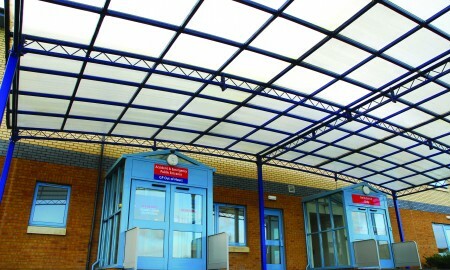 After numerous successful hospital projects Broxap was approached to provide a bespoke canopy solution to a busy Accident and Emergency unit. 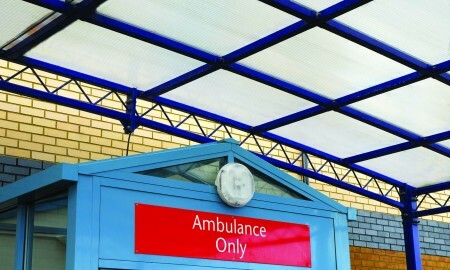 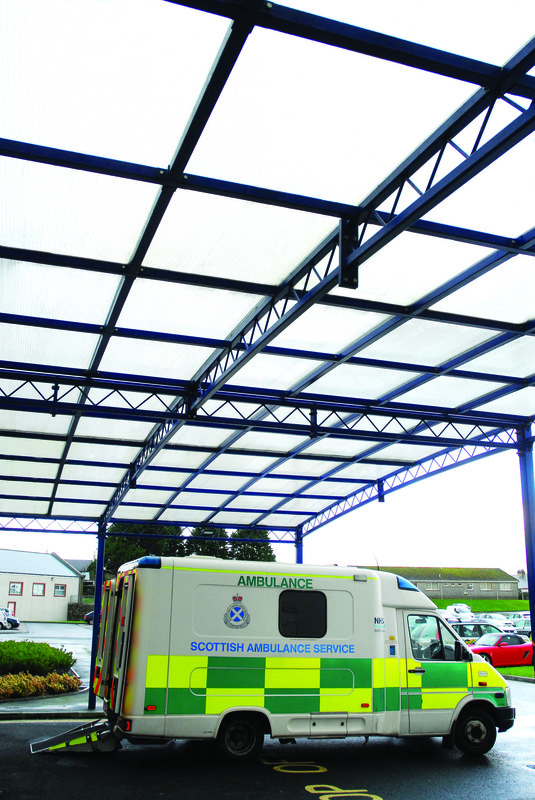 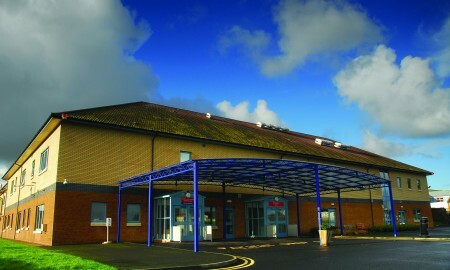 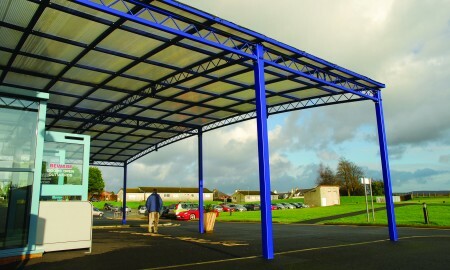 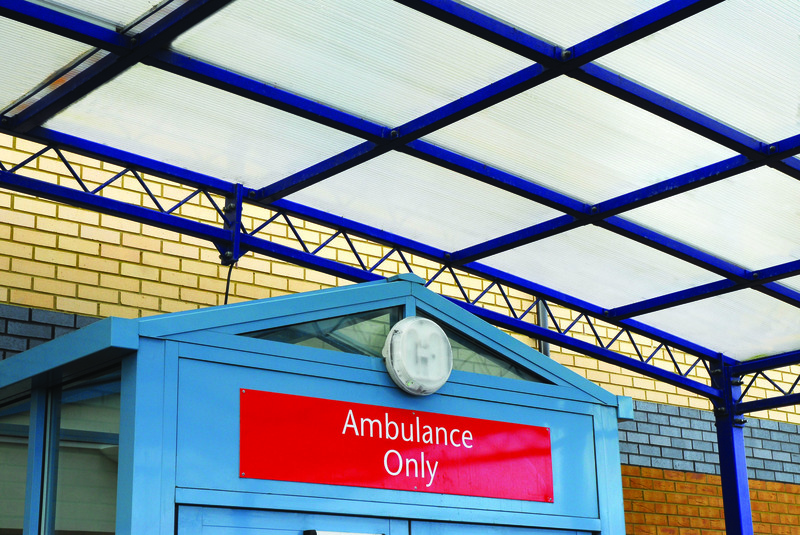 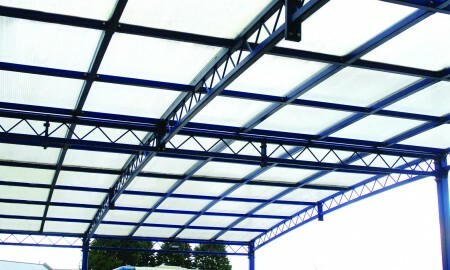 The only design criteria was to maximise the clear space beneath the canopy to allow an area free of obstructions in which the ambulances and hospital staff could operate. 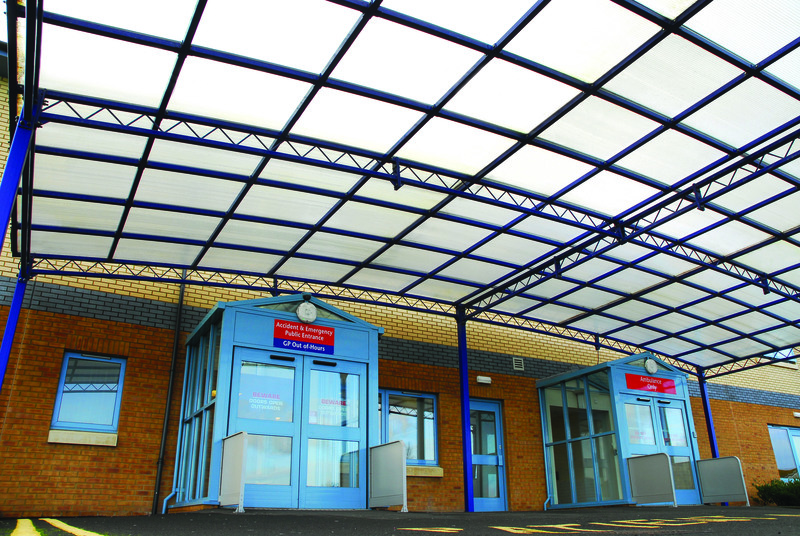 To achieve this Broxap modified its versatile lattice beam design to allow an uninterrupted 15m clear span across the centre of the canopy.